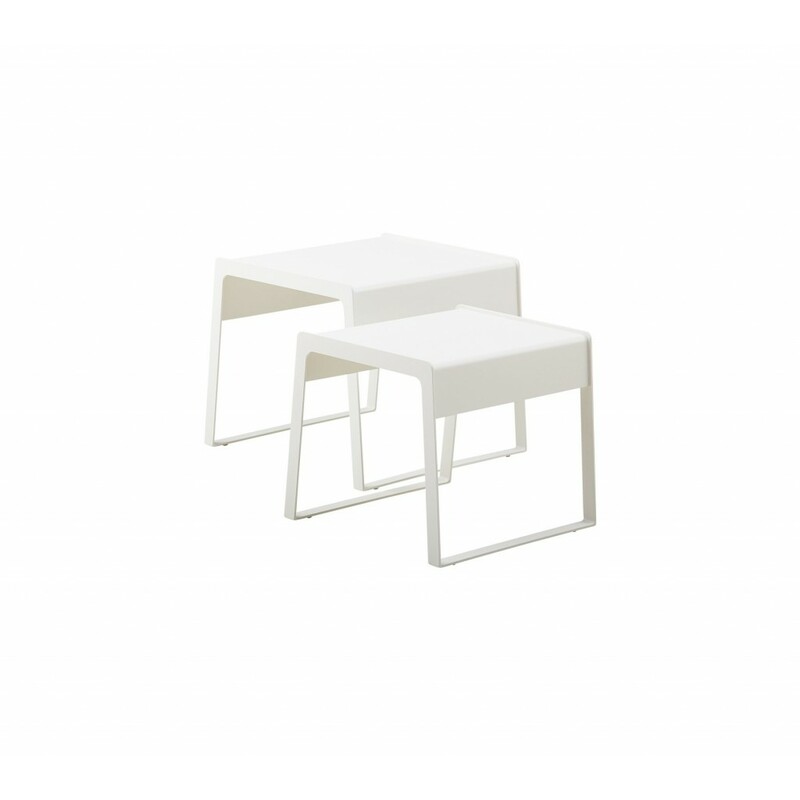 Zestaw 2 stolików kawowych Chill-out side tables Set Biały. 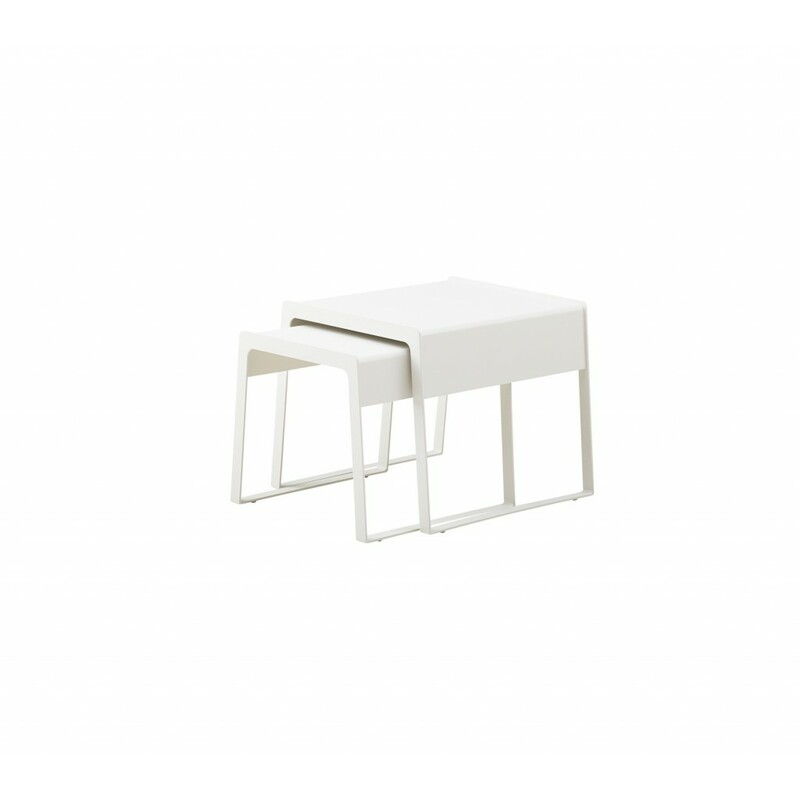 Komplet stolików w dwóch rozmiarach do zastosowania na zewnątrz i wewnątrz. 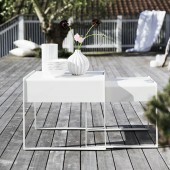 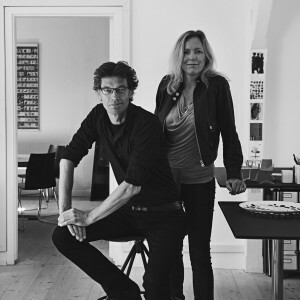 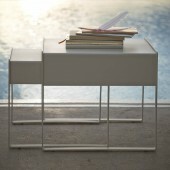 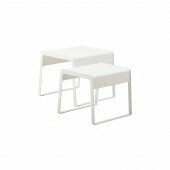 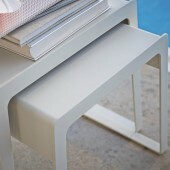 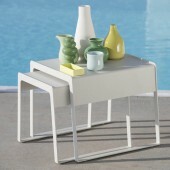 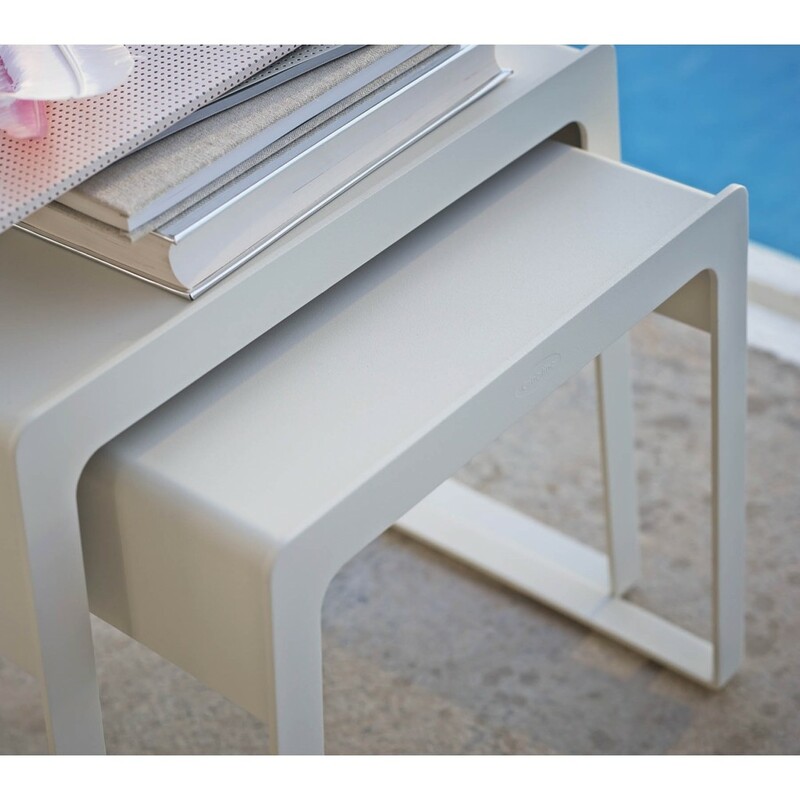 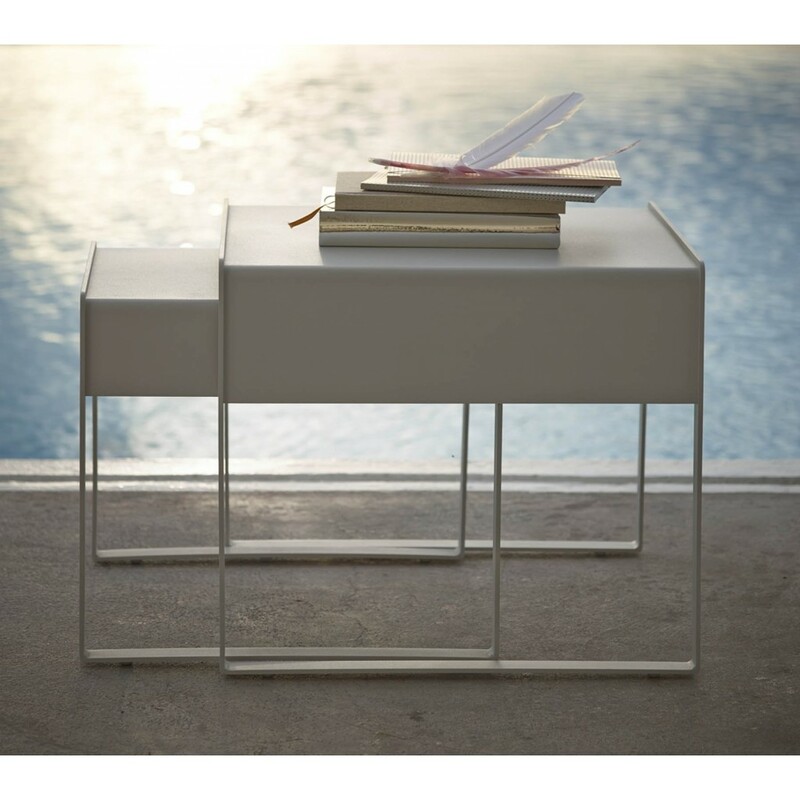 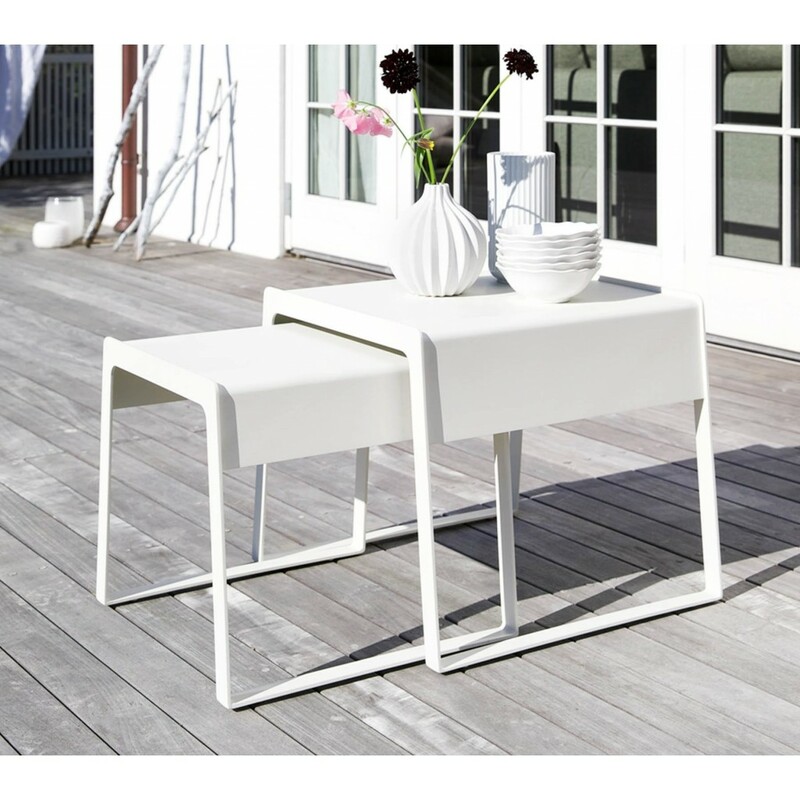 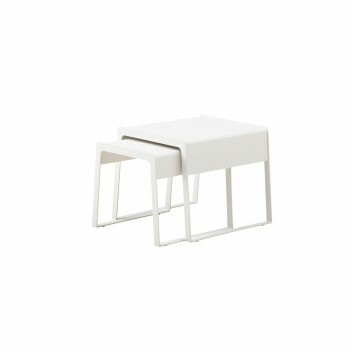 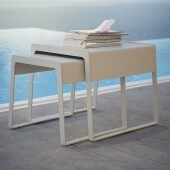 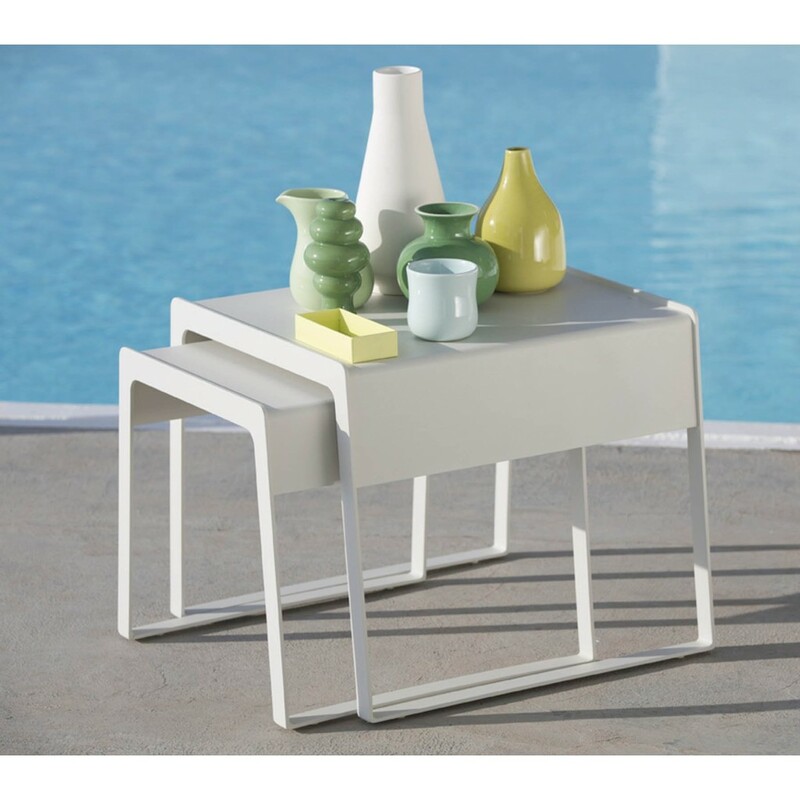 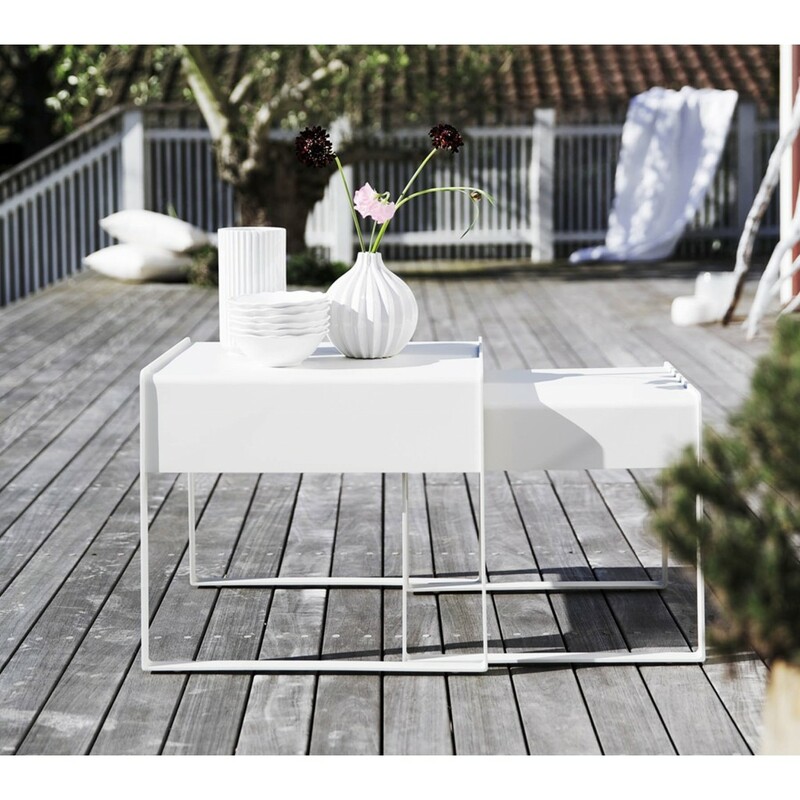 The Chill-out side tables are made in white aluminium and is designed by the Danish design duo Strand+Hvass. 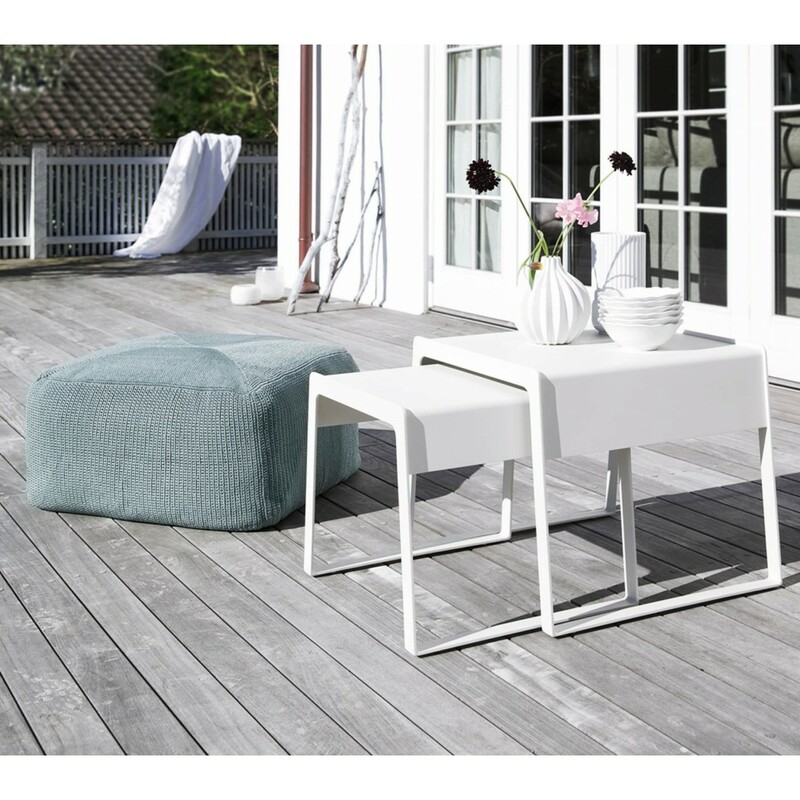 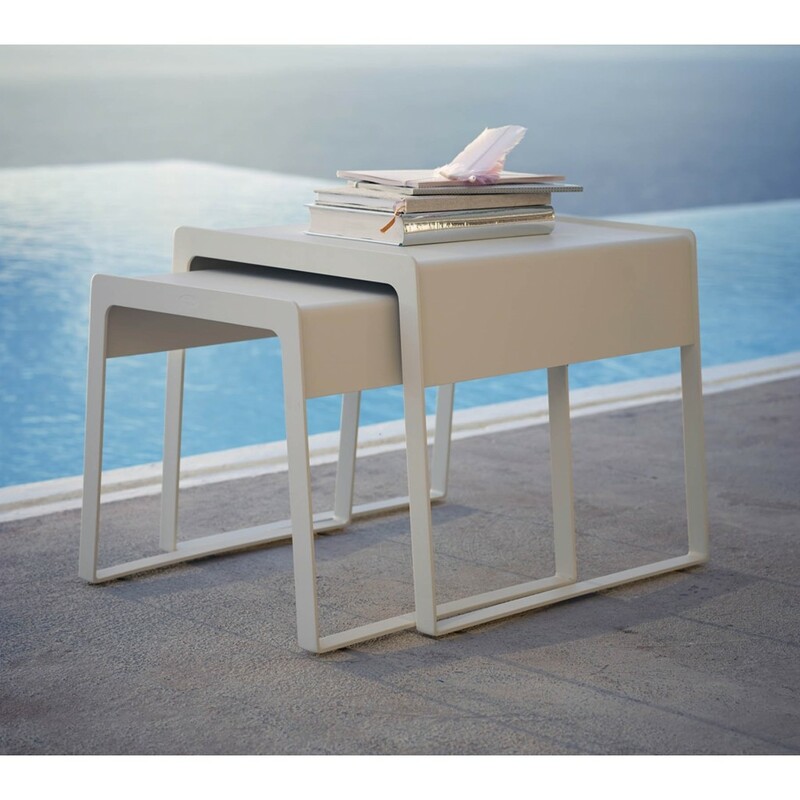 The Chill-out side tables can be used in many different ways, and can be combined with the whole range of furniture from our collections.